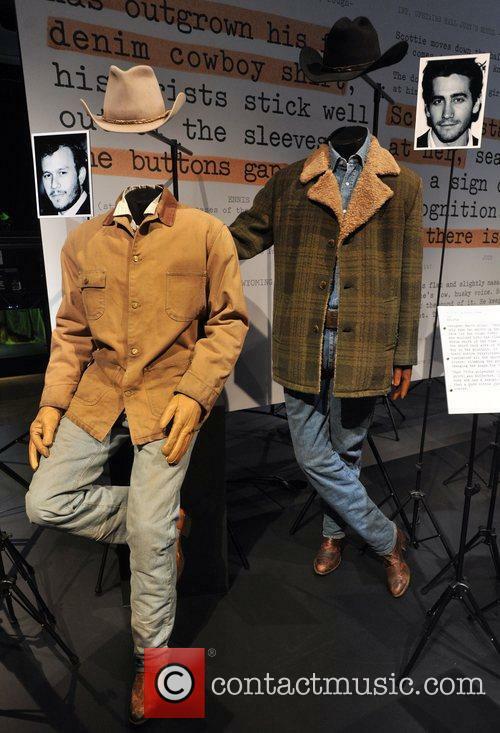 Brokeback Mountain, Heath Ledge and Jake Gyllenhall - Brokeback Mountain - Heath Ledge and Jake Gyllenhall Wednesday 17th October 2012 Hollywood Costume - press view held at the Victoria and Albert Museum. Family and friends of the late Heath Ledger, including his ex-girlfriend Naomi Watts, have gathered at a memorial service for the actor. Watts and Ledger's ex-fiancee Michelle Williams were among the mourners at the private service at the Pierce Brothers Westwood Village Memorial Park and Mortuary in Los Angeles after the Brokeback Mountain star's body was flown from New York City. The 28-year-old was found dead in his downtown Manhattan apartment last Tuesday with an autopsy proving inconclusive as to the cause of death. Though it was reported that prescription drugs were found in the SoHo bedroom, it has since been reported that the actor's death may have been a result of natural causes. According to celebrity web site TMZ.com, sources "intimately connected with the investigation" have said Ledger may have died from a heart attack. "It's now appearing that the level of toxicity (from medication) in Ledger's system was low enough that it may not have caused his death. These sources say Heath's heart stopped," the website reported. Some 1,000 guests at the G'Day USA Australia Day Ball at the Waldorf Astoria Hotel in New York City held a minute's silence in honour of the Perth-born actor on Saturday night. According to Melbourne newspaper The Age, the Australian consul-general also read a letter written by the late actor's father Kim. 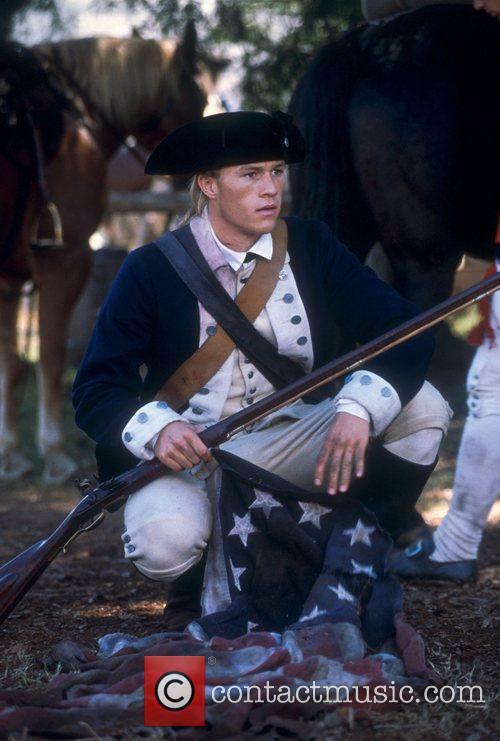 "Heath did not become an actor for the fame or fortune," he wrote. "He loved his craft and he loved helping his friends. He loved chess and skateboarding too." 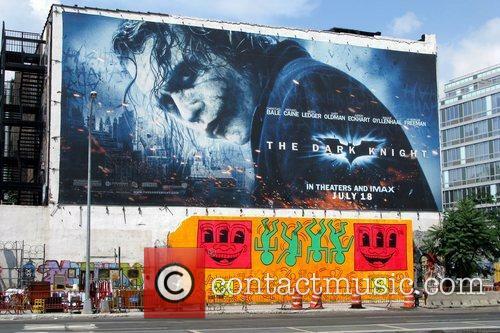 The letter added: "My image of Heath in New York is him with his skateboard, a canvas bag and his beanie. "That was Heath to me... Heath is and always will be an Australian." British actors Julie Christie and Daniel Day-Lewis have won the top acting prizes at the Screen Actors' Guild (SAG) awards. While Christie took the best actress gong for her acclaimed portrayal of a woman facing dementia in Sarah Polley's Away From Her, Day-Lewis was rewarded for his stunning role as an amoral oil prospector in Paul Thomas Anderson's There Will Be Blood. Though the awards season has been jeopardised by the ongoing industrial action by the Writers' Guild of America (WGA), the SAG awards were held without a hitch after an interim agreement was signed between the two unions, allowing acting talent to attend the ceremony without having to cross picket lines. Christie - who is nominated for the best actress Academy award for her part in Away From Her - paid tribute to the SAG, adding to The Associated Press: "It's lovely to receive an award from your own union, especially at a time when we're being so forcefully reminded how important unions are." And Day-Lewis dedicated his award to the late Heath Ledger, who was tragically found dead in his New York apartment last week. "In Brokeback Mountain he was unique, he was perfect," Day-Lewis said while accepting his trophy. "That scene in the trailer at the end of the film is as moving as anything I think I've ever seen." 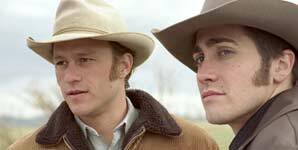 The 50-year-old added backstage that he had never met Ledger but had been profoundly affected by the actor's death. "I thought he was beautiful. I just had a very strong feeling I would have liked him very much as a man," he said. "I admired him very much. I'm absolutely certain he would have done many wonderful things in his life." Javier Bardem took the best supporting actor prize for his role as psychotic killer Anton Chigurh in the Coen Brothers' No Country For Old Men, which also won the award for outstanding cast in a motion picture. With The Sopranos finally coming to an end, leads James Gandolfini and Edie Falco claimed the best actor and best actress prizes for TV dramas, while Alec Baldwin and Tina Fey, the stars of NBC's 30 Rock, took the comedy equivalents. And another NBC series, The Office - an adaptation of Ricky Gervais and Stephen Merchant's Golden Globe-winning sitcom - won the award for best cast in a comedy programme.